Is It Or Is It Not Sciatica Pain? Do Not Settle On Self-Diagnosing. Is It Or Is It Not Sciatica Pain? Do Not Settle On Self-Diagnosing. Sciatica is a blanket term that covers pain symptoms that occur along the large sciatic nerve -which is the largest in your body- that runs from your lower spine and down to the back of your leg. Sciatica is the condition in which the sciatic nerve is irritated or compressed due to other factors. Without a proper diagnosis by a professional, it’s hard to know for sure if you have sciatic nerve irritation. It’s easy to confuse it with other conditions if you are not in the medical practice. If any of the nerves in your lower back becomes irritated, the pain travels from the root to the sciatic nerve. You should feel pain symptoms that run the length of your sciatic nerve, even reaching your foot. Many sciatic pain sufferers describe it as a shooting, searing, and radiating pain. It sometimes includes an electric-like burning pain along the nerve. Others say they feel numbness too. It’s highly likely you are suffering sciatica if the pain is constant. A constant pain that you feel on one side of your body that starts in the lower back and going down to the buttocks, lower leg, and foot. A pain that gets worse when you sit and stand, that makes sitting or standing difficult. A pain that is sharp and shooting and constantly there. A general feeling of numbness and weakness when you move. A sensation of having pins and needles on one leg. A pain that eases when you walk or lie down. A pain that worsens when changing positions. A pain that worsens when you cough or sneeze. You Feel Weak On One Knee. If you feel pain in one knee that runs down your leg and foot, that sounds like sciatica. If your sciatic nerve is pinched, you will feel it. It will make itself felt through pain and a feeling of weakness. If you have sciatica, you will eventually seek medical care for the pain. You Can’t Summon Your Pain. The pain you feel might not be sciatic nerve pain, but actually muscular pain. Using your thumb, try pushing around on the muscles in the lower back and see if you can induce pain. If you can trigger pain by a pressured push, it’s most likely muscular pain. But if you cannot, then it’s most likely nerve pain. You Cannot Pass This Doctor’s Test. You would feel pain with sciatica because when you stretch the affected leg, you’re also pulling the entire sciatic nerve. If this nerve is pinched and you stretch it, then you will feel it. Sciatic nerve irritation is due to factors such as poor posture, conditions related to the lower back, or the aging process. Your sciatic nerve will not be irritated by itself without other factors. 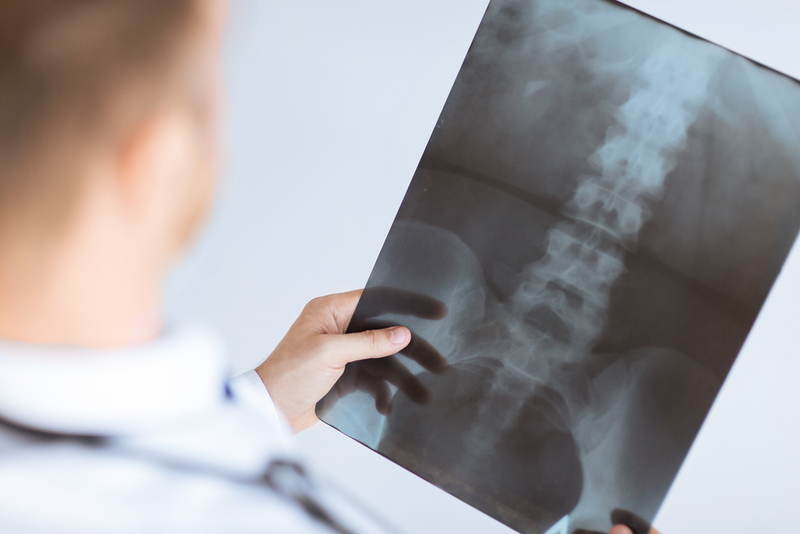 The most common causes of sciatic nerve irritation in younger adults are having a lumbar herniated disc, degenerative disc disease, or isthmic spondylolisthesis. Adults over the age of 60 usually have an irritated sciatic nerve due to lumbar spinal stenosis or degenerative spondylolisthesis. These are generally due to the degeneration of the spine. If you suspect that you have sciatic nerve irritation, see a medical professional immediately. Be it a doctor or a chiropractor, you need a clinical diagnosis to get to the bottom of what’s causing the pain symptoms. You might need an X-ray or an MRI for an accurate diagnosis. It’s important to know that if you leave sciatic pain untreated or if you treat only the pain symptoms with pain relievers, then you are putting yourself at risk for permanent nerve damage. Treating sciatica involves getting to the root of the problem, determine what’s causing it, and plenty corrective and preventive measures. Plus, you cannot be 100 % sure that you have sciatica just by self-diagnosing yourself on the internet. There are underlying conditions – some severe in nature – that can cause sciatic nerve pain. With proper diagnosis, you are opening yourself up to a variety of treatment options. You can opt for one that suits you best according to your comfort level and lifestyle, especially if the medical professional you choose is a chiropractor.